At a routine meeting, it became known that my client is the great-niece of former White Sox catcher Billy Sullivan, who played in the 1906 World Series as part of the infamous “Hitless Wonders” against the Cubs. I’ve known this client for years and never knew this amazing fact. Billy’s son, Bill Jr., also had a long MLB career and played in the 1940 World Series, becoming the first father/son duo to play in the Fall Classic. The rest of her family are Cubs fans and recently posed the question, “what if they play each other in the…” oh stop me, you get the idea. After my meeting, the managing editor in my office (and a huge Mets fan), asked me if I think the Sox are for real and would the city survive if there ever was a Cubs/Sox World Series? He did not pay attention to the radio station chatter that I did this morning, or knew of my meeting. It was a random conversation. By this time I was literally laughing. The Cubs currently are on pace to match or exceed the 1906 Cubs .763 winning percentage, while the White Sox current team batting average is right on pace with their 1906 counterparts, hence the nickname “Hitless Wonders.” Neither of these is likely to happen, but it’s a fun comparison nonetheless. Am I suggesting that the stars are aligned, that “this is the year” (a battle cry that this Cubs fan has grown to completely despise), or that both teams are destined for a 1906 rematch in the 2016 World Series? Of course not. It’s only April after all. But in the here and now, both teams are playing strong, inspired baseball and winning, at the same time, and at a pace not seen in decades. Granted, these little situations are hardly connected, except for their coincidental nature amid much excitement for both teams. 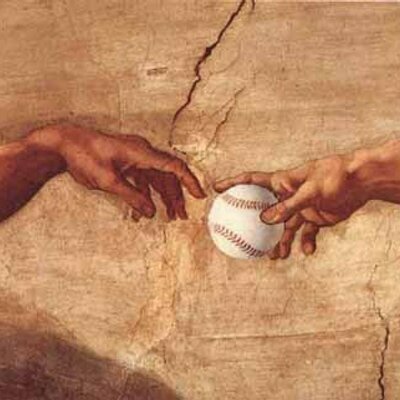 But with my acknowledgement of the sheer bizarre, and belief that some driving, external, ethereal force contributes to the strangeness of our pastime, I wonder, a little bit, if the Baseball Powers-That-Be are smirking. Tonight marks the first Cubs/Cardinals series of the season, and the first time these two foes will square off since the Cubs eliminated the Cardinals from the 2015 NLDS. The blood. It’s gotten even more bad between these two teams. Fueled not only by the Cubs’ much heralded playoff series win, but it was then compounded when Cardinals free agents John Lackey and Jason Heyward signed with the Cubs during the offseason. The latter player has drawn particular ire from Cardinals fans, as he accepted less money than what the Cardinals offered to play for the rival Cubs. Good, old-fashioned, hard-nosed baseball, that’s what. In a twist of irony, it also just happens to be John Lackey’s turn in the rotation tonight. He will take the bump against his former team, in his former home ballpark. Heyward too, makes his return to the ‘Lou, and if various online publications and social media posts are any indication, he could receive a less-than-welcome reception from the Cardinals faithful. Misdirected though such disdain may be, considering Heyward played in St. Louis for just one season, it’s still going to be a situation worth keeping an eye on. Baseball’s best rivalry begins an exciting new chapter tonight. New York City, Sunday, April 17, 1912. In what was an unscheduled exhibition, and a rare Sunday game, The New York Giants and New York Highlanders (before they were officially named the Yankees) played a game at the Polo Grounds to raise money for survivors of the HMS Titanic, which sank just a few days earlier. This was also the very first Sunday game between Major League teams at the legendary ballpark. A huge crowd turned out to the old ballfield on Coogan’s Bluff to see the Giants wallop the visiting Yanks, 11-2. Over $9,000 (then a very large sum of money), was raised in the effort from fans buying a special game program in lieu of a ticket. 104 years later, Major League Baseball’s various philanthropic and community efforts continue, though it’s interesting to trace such endeavors back over a century in the past. Today we celebrate Jackie Robinson Day across the country. On this day in 1947, Robinson made his MLB debut on Opening Day at Ebbets Field, helping the Dodgers to a 5-3 win over the visiting Braves. And history was made. So goes the decree that banned eight ballplayers from the Chicago White Sox for their involvement in conspiring with gamblers to throw the 1919 World Series to the Cincinnati Reds. But upon close examination of the statement, the last line draws special attention, as it was written for, and directed toward, one player: George “Buck” Weaver. Much has been written about and endlessly speculated over the Black Sox, as they (perhaps erroneously, since they were called this before 1919 as a joke about their always dirty uniforms) are forever known, but therein lies the problem: Nobody really knew what was happening. Not then, and certainly not nearly a century later. It was for this uncertainty that players like Weaver kept their mouth shut during the Series. It was clear that there was some sort of problem on the field, but nobody was certain who was participating and who was playing honest. To make matters worse, virtually everyone within the White Sox organization had knowledge of it, but one man was crucified to take the fall. Let’s examine why. During the 1921 criminal trial of the eight players, sparked after sportswriter Hugh Fullerton and others exposed the scandal, testimony from some of the gamblers as well as scorecards of the games generated enough evidence of foul play to indicate that something wasn’t right. Questionable plays in each game showed the Series was not on the level, and this was backed up by the aforementioned testimonies. However, the trial itself quickly became a bigger scandal than the Series. Signed confessions to the Grand Jury by three of the accused players mysteriously disappeared. (The accepted theory is that Charles Comiskey, along with perhaps some gambling bigwigs, paid to have them stolen in order to make the trial a wash and thus protect the business of baseball.) This lack of official admission led to the eventual aquittal of the players in court. However, behind the scenes, American League President Ban Johnson, and National League President John Heydler along with several owners, appointed Kenesaw Mountain Landis, a former federal judge, as baseball’s first Commissioner. The very first ruling he made in this role was to ban the eight players forever, a decision he was within his right to make, as he was given absolute ruling power over the game of baseball. Individually, there was little question about the involvement of six of the eight players. The other two, the gritty and ever-smiling Weaver and the legendary “Shoeless” Joe Jackson, have generated decades of sympathy and pleas for reinstatement, largely due to the sparking performance each turned in during the ’19 Series. Jackson hit .375 and the Series’ only home run, while Weaver hit .324 and played flawless defense. Jackson however, despite having Hall of Fame-worthy career statistics, has one red thumb: He accepted money for his participation in the fix. Even though he did nothing on the field to indicate he was not playing on the level, he was illegally paid. That, sadly, is enough to keep him out. Weaver on the other hand, did not take a dime, and had no participation other than simply being aware that the nefarious plan was hatched. But by Game 3 of the Series, it was completely unclear who was trying and who wasn’t. Buck tried to tell manager Kid Gleason and others, but it fell on deaf ears. Moreover, he didn’t know who to rat out or what to say! Had he made what was considered a false accusation, he could’ve implicated himself in a serious matter, so he was literally unable to resolve the situation! Landis’ statement had a special section at the end for Weaver. Why? He needed to set a precedent. There simply was no rule in place at the time about punishing those with guilty knowledge of something, so he made one. The problem was, Weaver was by far not the only one who knew of the fix. The rest of the team, manager Kid Gleason, even owner Charles Comiskey himself had caught wind of the fix before the Series even began. But knowing Weaver was part of the “in” crowd on the clique-ridden Sox, the likes of which had orchestrated the fix to begin with, he declared Weaver guilty by association and banned him with the others. Precedent set. ‘Ol Buck was the fall guy. Weaver’s sacrifice has not been in vain however, as through the years many gambling incidents were avoided or saved by Buck’s banishment. It became a well-known and understood fact that you could indeed face banishment for knowledge of throwing games, and thus, in an indirect and perhaps ironic way, Weaver has helped preserve the game’s integrity. All things considered, that could and should weigh heavily in his favor and be more than a bullet point in his case for reinstatement. What happens now? For nearly a century, there has been an outpouring of support for both Jackson and Weaver’s reinstatement. This will likely never happen for Jackson, as although he had a stellar career, he did accept money for the ’19 Series. Intangibly speaking, to reinstate Shoeless Joe would be the equivalent of removing a huge chunk of baseball folklore from the world and giving a new identity to one of the games most tragic heroes. Baseball likely will not do this. Weaver by comparison, was nothing more than a bystander who was made an example of. He was ripped away from the game he adored during the prime of his career. The only third baseman that Ty Cobb would never bunt against, was cast out unjustly for the sake of establishing a rule. Now that that precedent has been set, I’d say his punishment is long, long over. It’s now up to Commissioner Rob Manfred, or any future commissioners to soften their hearts a bit, and right a wrong. Let the Ginger Kid smile again.